Mr Horwood, you have previously requested that POW and CPRE should withdraw the s113 challenge. Attached is a letter from POW respectfully requesting WBC concede, given the latest ONS household projections together with evidence that only that part of a Local Plan that is under challenge is removed, not the whole Plan. WBC must avail itself of this unique opportunity to revise down its housing numbers presented by the High Court Challenges being brought by CPRE and POW, rather than wait until the 5 year review of the Plan in 2023. If it fails to do this, large sections of our beautiful Borough will be ruined by unneeded development – on Green Belt, on Areas of Outstanding Natural Beauty and Areas of Great Landscape Value – and future residents will be condemned to live in totally unsustainable locations. 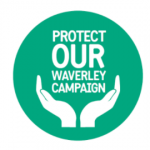 4 Report on the Examination of the Waverley Borough Local Plan Part 1 by J Bore, 1 February 2018: para 26. A brilliant letter to the WBC CEO. It is absolutely spot-on in explaining to WBC that the need for unwanted housing in the wrong places, which is what WBC have approved in the current Housing Plan, is now unsupported and indefensible. WBC and the CEO should take the correct action of reconsidering the total numbers of new houses and their locations in the Housing Plan. I strongly echo the comments above from Roger Wood. But why is Waverley Borough Council’s CEO resisting the legitimate demand to incorporate POW’s carefully constructed points so stubbornly? Latest figures show that the demand for housing has now dropped over the next few years. 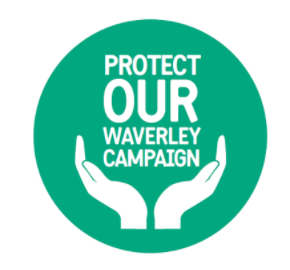 Therefore I think it is important That Waverley Council reasess its housing need projection.